United States No.2 Amanda Sobhy will make her long-awaited comeback from a 10-month injury absence at the J.P. Morgan Tournament of Champions in New York this week when the 24-year-old Harvard-graduate lines up at the prestigious World Series tournament. Sobhy became the first American-born woman to reach the final of this tournament back in 2016 – ultimately losing out to World No.1 Nour El Sherbini – and she moved up to a career-high World No.6 ranking a matter of months later. However, a ruptured achilles at the Ciudad de Floridablanca last March halted Sobhy’s development and forced the charismatic American into a gruelling recovery process. Now ranked at World No.28, Sobhy will face a qualifier in round one – live on Eurosport Player – and admits that her return to the court will be an emotional one. “Recently, it has turned to eagerness and excitement but the past few weeks it has been a whole rollercoaster of emotions, from excitement, to doubt, to anxiety and panic, to excitement again,” said Sobhy, discussing her feelings about returning to the Tour. “It’s crazy to think that I am finally getting back to competing again, it’s been so long. “This has been the most difficult journey I’ve ever had to encounter. When people told me the recovery process takes a long time, I had no idea it was going to be this difficult. It’s been 10 months and I still can’t do a single leg calf raise, plus the atrophy on my leg is beyond absurd. “The hardest part for me mentally, physically, and emotionally was when I had to make that jump from doing normal PT [Physical Therapy] rehab that got you back to being a regular human again, to doing specific PT rehab for a professional athlete. 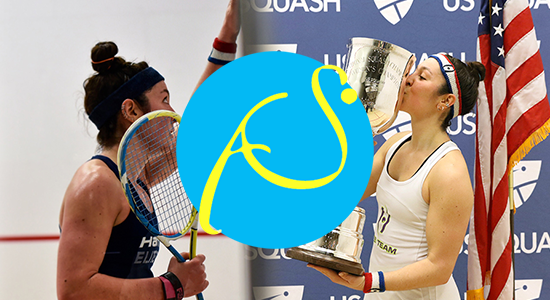 The Tournament of Champions is one of the sport’s longest-running tournaments and its stunning setting in the Vanderbilt Hall inside Grand Central Terminal means it is held at one of the most picturesque locations on the PSA World Tour. And Sobhy, who has the likes of U.S. Open champion Nour El Tayeb and World Champion Raneem El Welily on her side of the draw, is backing her home crowd at Grand Central Terminal to get behind her and spur her on when she takes to the court. “The Tournament of Champions is by far my favourite tournament, so the timing could not be better having my return to the Tour be at this tournament,” Sobhy said. “Everybody – and I mean everybody – is coming to watch my first round match on Sunday evening. It is so amazing to see how much home support I have from the fans. They all want to see me get back out there again. Alongside the women’s tournament – which is held between January 20-25 – there is also a men’s World Series tournament, which begins two days earlier and features the likes of World No1 Gregory Gaultier, World Champion Mohamed ElShorbagy, title holder Karim Abdel Gawad and 2012 winner Nick Matthew. Glass court matches from the main draw will be shown live on Eurosport Player.